Update 2: Still getting a lot of views from Reddit. Leave a comment (on this or the sequel post, but be sure to read it first) and don’t be a stranger. 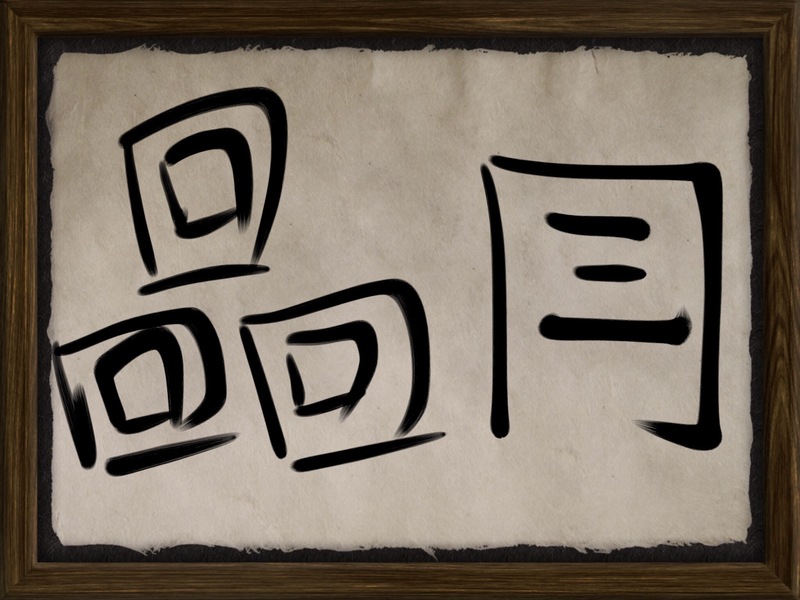 I’ve invented some new kanji that I think fill a gap in a set of characters that was apparently last updated before the Industrial Revolution. Why? Because this is a blog and I don’t need any other excuse. But also because I see kanji as part of an unhealthy tendency to keep the important parts of Japanese cultural identity locked behind glass out of the reach of common folk, and I think that ought to change. 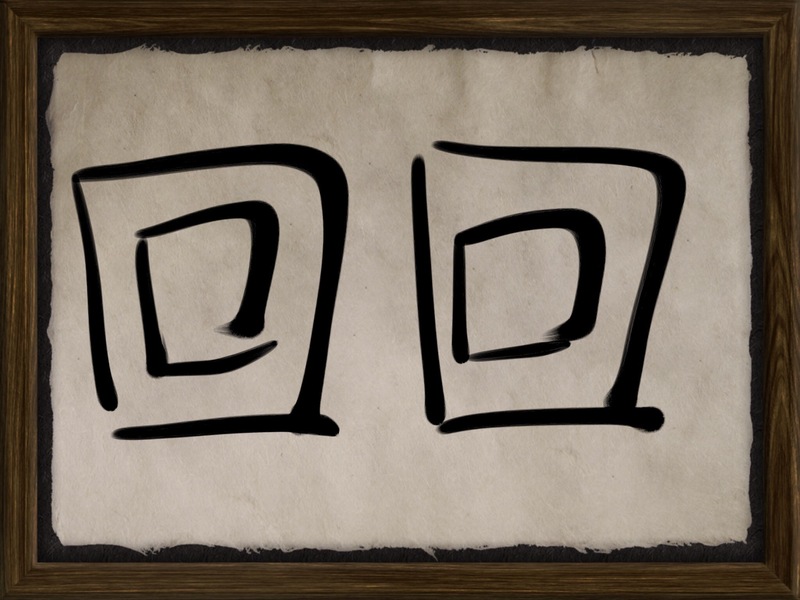 First, here is a kanji I invented and drew up in Zen Brush meaning “computer”. There is no native (old Japanese or Chinese-derived) word for computer (obviously) and the closest I know of is 精算機 seisanki “calculator” which when it comes down to it is all a computer is. Most people use loanwords such as コンピューター konpyuutaa or パソコン pasokon (“personal computer”, I once saw an electronics store one of whose aisles was labeled with a sign reading “Personal C.”) for computers as well as for their components. 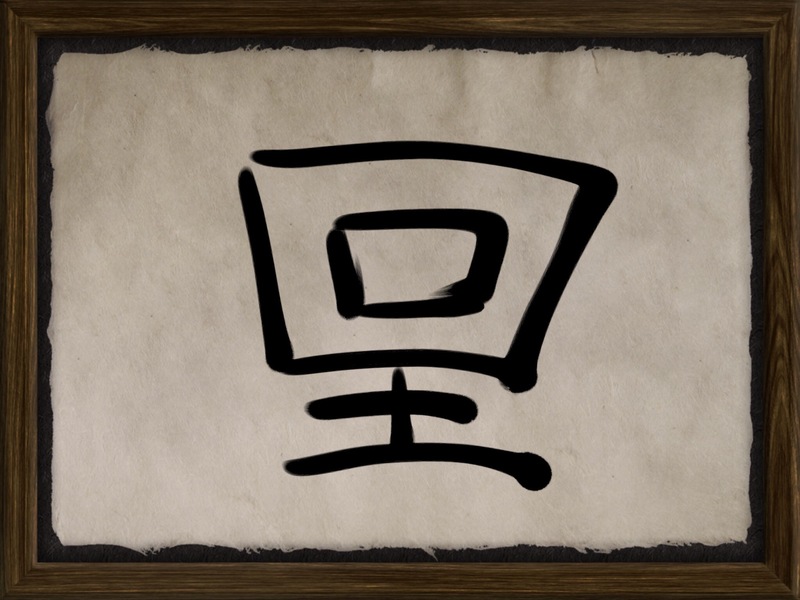 This kanji which I made up could be read kon in reference to its semantic origin. The radicals have no relation to the meaning other than the fact that they look like a 1990s-2000s desktop computer. You may be thinking, hey, why not just make it look like a laptop or smartphone since that’s what more people use nowadays, but 山 doesn’t look like most mountains either. Keep reading for more. This next one means “network”, read netsu. And this one “Internet”, read in. Why do these concepts need kanji? Well, I think computers in the abstract sense of electronic calculating machines are common enough parts of modern life to warrant inclusion in the largest and most prestigious of the Japanese writing systems (adapted pretty directly from Chinese and with the other two main writing systems as its descendants). If boars get two kanji (猪 and 亥, and my iPad is suggesting others as well that I’ve never seen before) when most people will see boars a few times at most in ther entire lives, then the inventions that make possible virtually all of modern society should get some too. Yes, cars have a kanji, 車, which used to mean “wheel” but has been upgraded. I couldn’t think of an older kanji with the potential to be similarly upgraded to mean computer, hence the necessity of a coinage. I don’t think the pictographic vocabulary of modern Japanese should be dictated by what happened to be in the collective consciousness of Bronze-age China. Also, katakana (the syllabary used to write loanwords like konpyuutaa) is growing into half of an unhealthy dichotomy in Japanese writing that also permeates Japanese culture in other areas: that Japanese stuff is august, prestigious and fragile, while the banal assortment of objects and practices that make up most real Japanese people’s lived experience is not fit to wear the label “Japanese”. I’ve said as much before, but I just want actual Japanese people to be in control of “Japanese culture”. Never mind that I’m not Japanese – something has got to get this ball rolling, and it might as well be a seldom-read blog by a former English teacher. On to the next kanji. 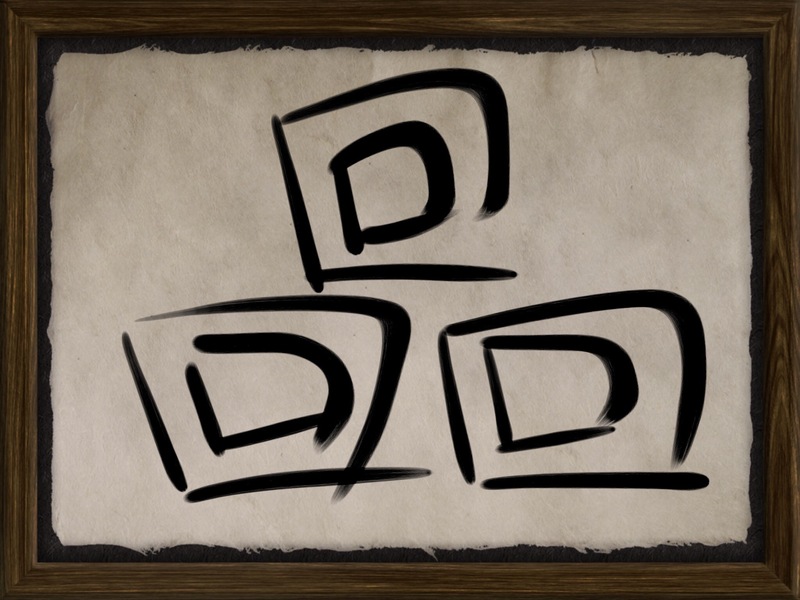 This one means “document”, and is read doku. This coinage is a little less justifiable than the other 3, since Japanese has words that mean something similar to “abstract container of information” (資料 or 項 for example) or could feasibly be pressed into service to mean so (文 or 本). It just so happens that when people talk about files in an operating system, they use the very unwieldy loanword ドキュメント dokyumento. This kanji is to replace that. So how would you use these kanji? Well here’s the new word for “file transfer” (dokunetsu), which comes in addition regular old 送る okuru “send” and replaces ファイルトランスファー fairu toransufaa. Dokunetsu is a regular noun that can act as a verb with the addition of suru, as in dokunetsu kanryou (“file transfer complete”) or dokunetsu dekinai (“I can’t transfer the file”). Unfortunately, there are practical as well as historical and cultural forces that work to discourage innovation in kanji. First, each kanji has to be disseminated through society by some means, probably government-controlled ones such as the education system. That would mean textbooks from the lowest level that new kanji are introduced at upward would all have to be revised whenever kanji are added to the lexicon. In addition, as you may have inferred from the number of images in this post, you can’t type new kanji until Apple, Microsoft, Google, whoever controls the standards for HTML and Unicode and a bunch of other software authors decide to include them in the kanji dictionaries that are included with Japanese word processing software. Imagine the difficulty you would have introducing a new emoji for public use that had to suddenly appear on every computer in the world in a consistent manner. 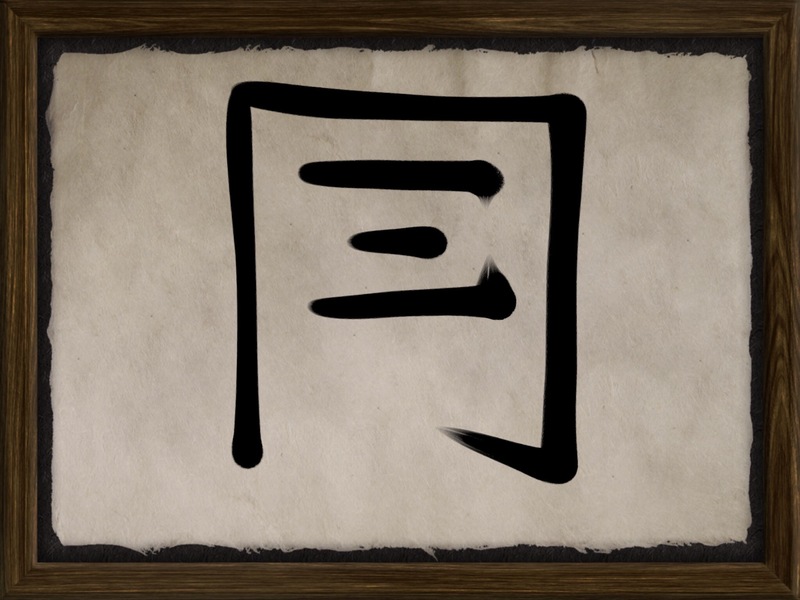 But the major impediment to new kanji being invented is that people regard kanji as a closed set. There are a few sites where people talk about this issue, some somewhat serious and some clearly kidding, but the feeling in Japan overall is that kanji are too important to be altered or invented by modern people. They’re only open to interpretation as far as is necessary for young people to attain a proper understanding of them, i.e. the same understanding of them that the previous generation had. 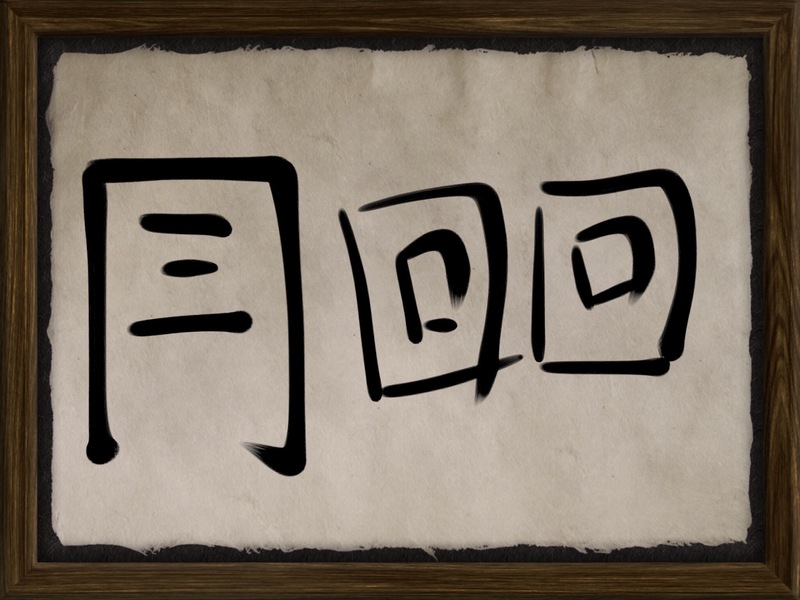 Kanji are a part of young Japanese people’s cultural heritage that is ironically off limits to them at the same time. Here’s a proposal. Instead of or in addition to the Kanji Proficiency Society choosing a Kanji of the Year, this presumably wizened group of scholars adds a new kanji every year. This doesn’t even have to be in the hands of the voting public, just a token nod toward the idea that the kanji are not too important to change, and that the Japanese language is a living product of Japanese society, not a museum piece.